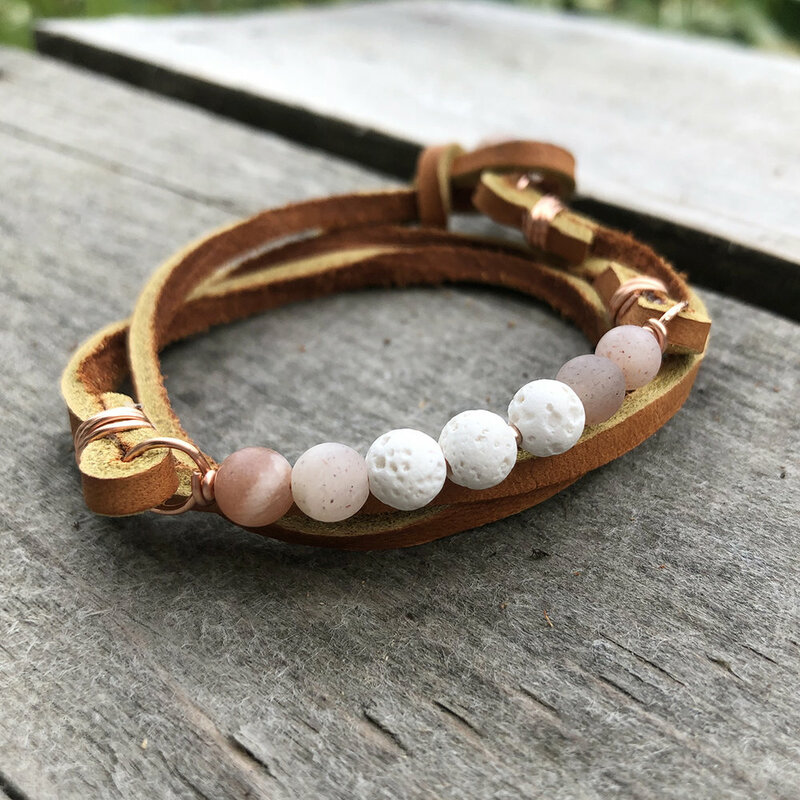 A beautiful design collaboration between Oak Handmade and Kindred Self - introducing our Mix+Stack range of diffuser bracelets. This design features Sunstone to promote a warm and positive mindset paired with grounding white lava stone. The naturally porous nature of lava stone makes it the perfect medium for diffusing pure essential oils.